It’s a bit of an odd concept — a high-end product (that’d be seafood) served at your table in a plastic bag (go figure). But it’s all the rage in Toronto, where The Captain’s Boil, which opened its first location in North York in late 2015, already has 13 restaurants in the GTA and another half dozen scattered around the country. Ottawa gets its first taste of the culinary craze this Friday, when the 120-seat, 3,000-square-foot restaurant launches at 11 a.m. in the former Fresco Bistro. 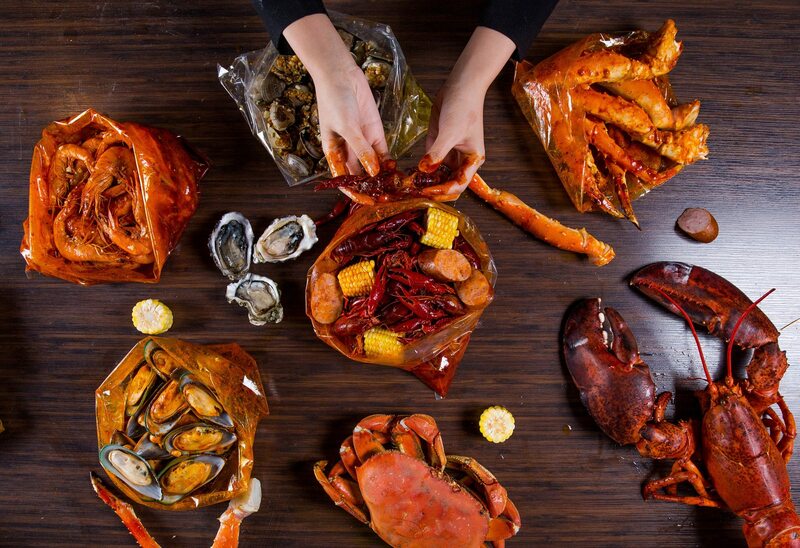 Your seafood, mostly of the shellfish variety, is steamed or boiled then transferred to your table in said bag, tossed in the sauce of your choice. The idea is to get messy, so you throw on plastic gloves and bibs before getting down to it, ripping and cracking with bare hands. City Bites Hot Tip: Go with a big group of friends, share, and enjoy the chaos.Those who have tried The Captain’s Boil either love the idea of leaving their table looking like a culinary crime scene or bemoan the environmental disaster of all that plastic, though the food bags, at least, are biodegradable. City Bites Hot Tip #2: A quick check of The Captain’s Boil website suggests that the optimistic owners are already eyeing a second Ottawa location. The downtown averse should keep their eye on the Hunt Club strip.